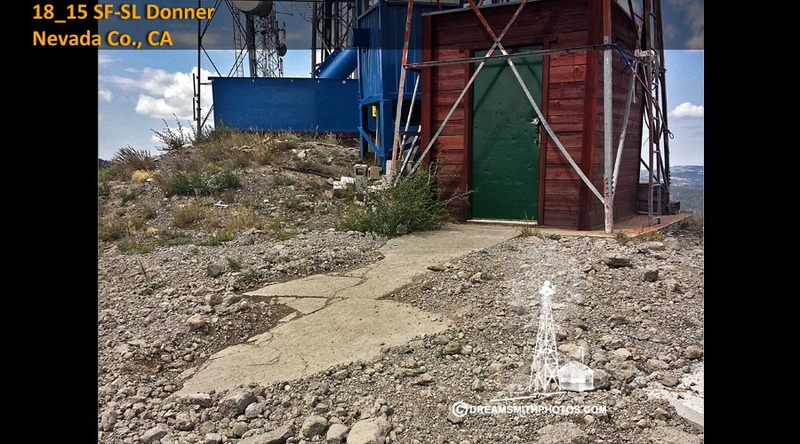 15 SF-SL Donner, site No. 15 on the San Francisco-Salt Lake airway. The 15 SF-SL Donner Site is located south of I-80 in the Donner Pass Region of the Sierra Nevada Mountains at an elevation of 7700+ feet. It's exact location is at the top of Donner Ski Ranch which is located on Donner Pass Road. The arrow is in very poor condition. The tail of the arrow is on an uphill incline, while the arrow point is on a downhill decline. This is due to the terrain. The beacon is still intact where it was originally placed and is in good condtion. A shed has been built by the ski ranch underneath the beacon tower. As you disembark from the chair-lift the arrow and beacon will be on your immediate right. There are also microwave towers placed on the top of the hill adjacent to the beacon. The pilot would approach the tail of the arrow on a compass heading of 85° (E), and then exit the arrow on a compass heading of 85° (E). All measurements and compass headings are approximate. Due to the adjacent microwave towers no aerial drone photos were taken. 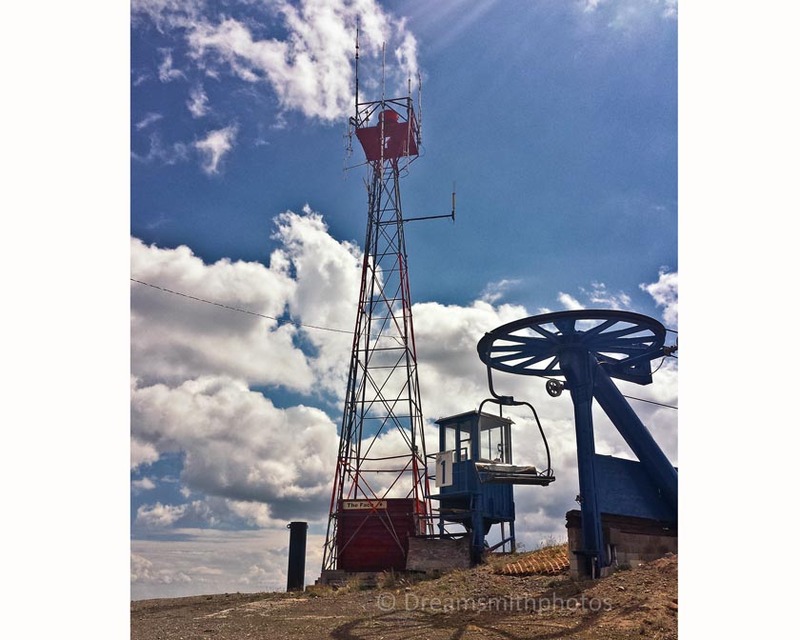 This article describes the Donner Summit airway station in winter, and has some photos. Has a map and photos of imprtant locations.